SAN FRANCISCO, Calif. -- When you travel overseas, you want to make sure you won't run up exorbitant fees on your smartphone. A California family thought they were protected from roaming and internet charges. She and her children had just returned from an annual family reunion in Vietnam. 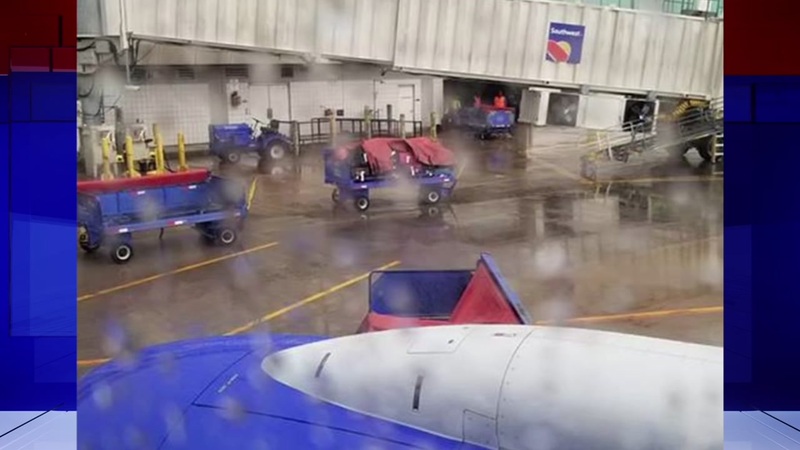 A traveler out of Hobby Airport says he watched helplessly as his bags were left out in the open, being soaked by rain. Relatives from many countries gathered on an island off the southern coast, celebrated her mother's 84th birthday and frolicked on the white sand beaches. They returned home to San Jose brimming with good spirits until the jarring discovery sent them crashing down to earth. It did happen. T-Mobile charged Chung $13,470 for internet access on her son Nicholas' iPhone. The charges all were incurred in a very short period while their flight was coming in over Vietnam. Chung estimates they racked up the charge in just one-half hour. Nicholas got in lots of trouble with his parents but insists he never used the internet on his phone. "We didn't want to pay for something we didn't use,'' Chung said. "We didn't know where to go, but we watch Channel 7 news (ABC11's sister station KGO) every night and I know about Michael (Finney). So, we decided to call because we really needed your help." However, when ABC7 looked into the matter, we found that many mobile apps that don't require an internet connection still use data. Users may not even realize it, but the apps operate in the background, silently gobbling data for purposes such as updating software, refreshing social media, and sending advertisements. "Customers on T-Mobile ONE or Simple Choice North America plans have unlimited text and data - as well as low rate calling - in more than 210 countries and destinations around the world with Simple Global. However, T-Mobile recommends, before a trip, customers who are traveling internationally either call Customer Care or check international roaming coverage and rates online."